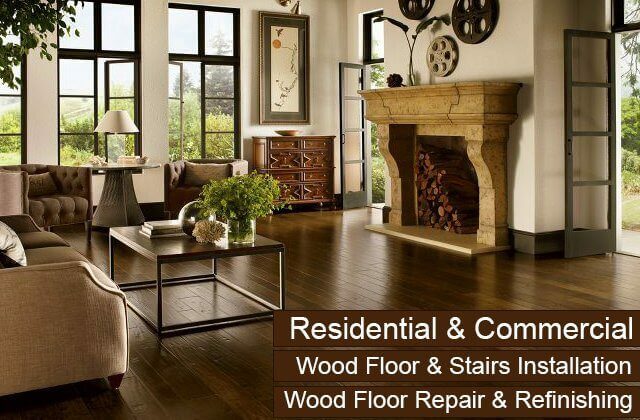 Welcome to Carter Wood Floors, one of the oldest and most experienced hardwood floor refinishing and installation companies in Southern California. Our business consists of local, highly skilled craftsman who are experts in every aspect of hardwood flooring, from sales and installation to maintenance and repair. They can be trusted by our residential and commercial clients in Downey to listen carefully to their needs, provide honest advice, and offer competitive pricing. They'll also perform every hardwood flooring job to the industry's highest standards and back their work with a one-year labor warranty. As a testament to our value-added service, we have accrued tens of thousands of satisfied customers across the Southland. Our successful business is built primarily on returning clients and customer referrals. We only offer the industry's best hardwood floors: Mullican, Robbins, Garrison, and Bruce. Our staff members are hard working, honest, easy to work with, and extremely knowledgeable. We prefer to work with unfinished wood so that we can offer our Downey clients the greatest flexibility in customizing their floors while having the greatest degree of quality control throughout installation. 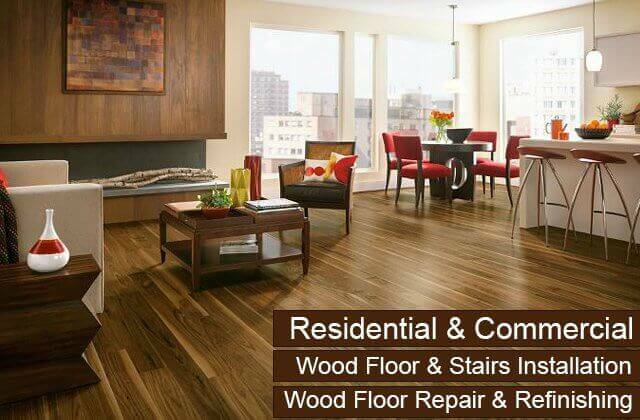 We specialize in offering comprehensive hardwood flooring services. We also have the expertise to install, coordinate, and maintain hardwood on stairs, balusters, railings, baseboards, and moldings. Our owner has over 40 years of industry experience and is involved with ensuring that every job meets his strict standards for quality. We work efficiently and do our best to keep disruptions to your home or business to a minimum. Many of our competitors take two to three days longer than us to sand, stain, and coat floors. That's because we arrive prepared, work efficiently, and keep working until the job is done. All our floors are backed by one-year labor warranties and five-year to 50-year manufacturer warranties. We provide free on-site assessments for hardwood floor projects in Downey. 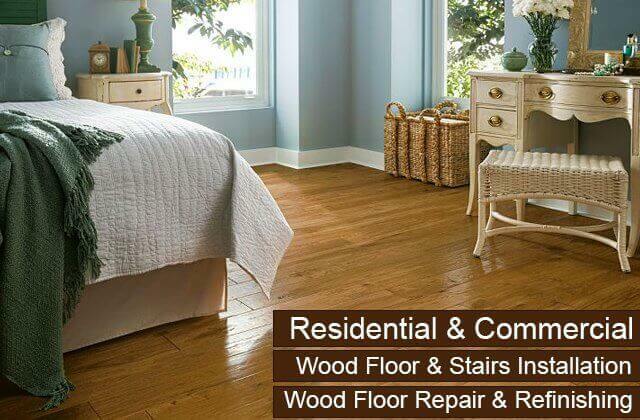 Call Carter Wood Floors today for premium hardwood flooring services at some of the best prices in Downey. We welcome both residential and commercial jobs of any size. 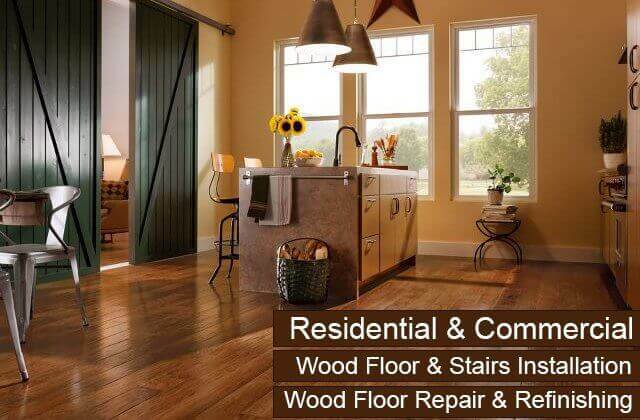 Carter Wood Floors is licensed, bonded, and insured, and never uses subcontractors. 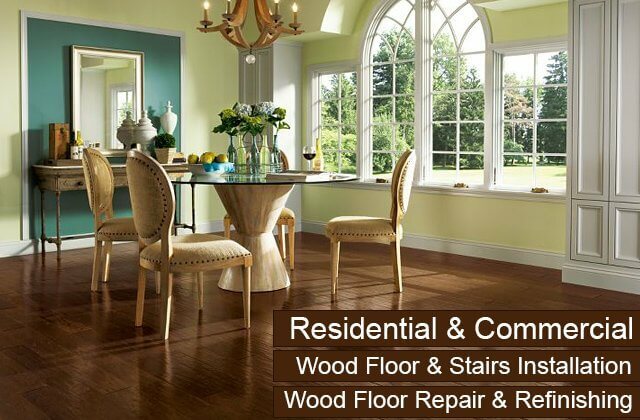 Carter Wood Floors offers the best value you can find in Downey for hardwood floor refinishing. We are one of the most experienced hardwood floor refinishing companies in the area with 33 years of experience and tens of thousands of satisfied customers. Everyone on our team excels at working with wood, but each member of our team has a specialty, such as coating, sanding, or installation. By providing our Downey clients with employees who are experts in their specific field, we are able to achieve higher quality results and consistently meet or exceed our customers' expectations. Our hardwood floor refinishing service includes removing any paint, linoleum, vinyl, or carpeting; stripping away any floor wax or coatings; addressing any cracks or gaps in the wood; using several grades of sand for sanding and buffing; making repairs or replacing boards as necessary; and applying three to four applications of stain and/or finish. We can refinish all types of wood floors and do so at very competitive prices. 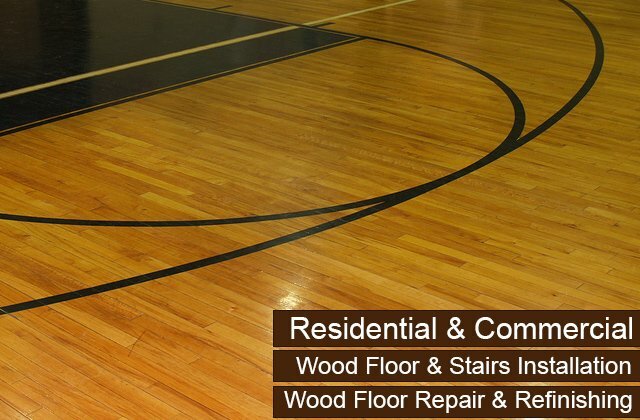 As hardwood floor experts, we are able to quickly and reliably identify when hardwood floor repairs are necessary, and provide the cost-effective solutions to fix them. In some cases, we are asked by our Downey clients to replace specific wood panels that they can clearly see are damaged. In other cases, repairs don't become apparent until we remove carpeting or other covering from their wood floor and/or start sanding. In these cases, we'll often discover that some of the floor's wood panels have been deeply stained, cracked, split, warped, or damaged by water or termites. As long as the overall floor is in good condition and is thick and strong enough to handle refinishing, we can pull out only those boards that are damaged and replace them with new, unfinished wood that will be stained and finished to match the rest of the floor. We can even use older wood to repair floors for Downey homes or businesses that feature old growth wood. 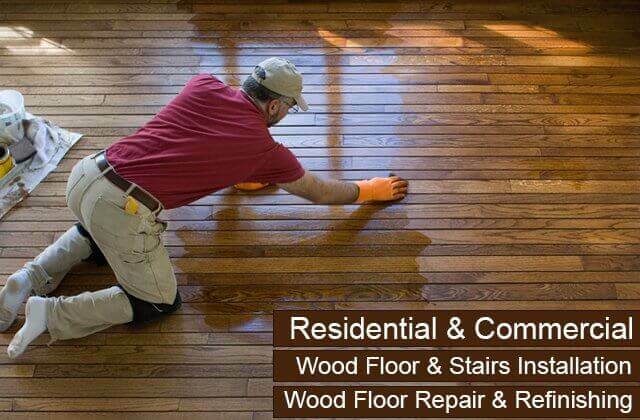 Call now and we'll send someone out to your property to assess your hardwood floor repair needs in Downey. 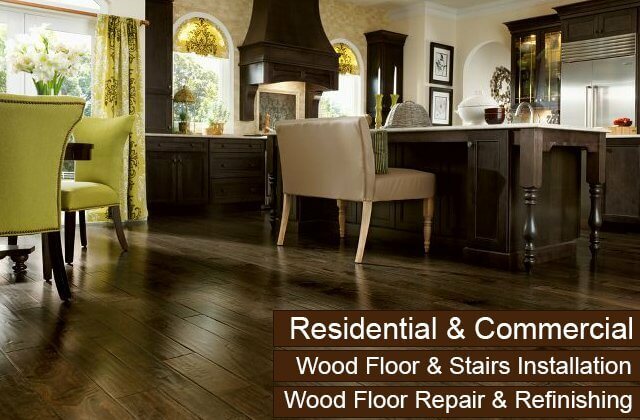 If you are considering custom hardwood floors for your Downey home or business, call Carter Wood Floors. We offer free on-site consultations with our experienced staff, who will tell you everything you need to know about hardwood flooring so that you can make a well-informed decision about which type of floor construction (solid or engineered), wood species, stain color, finish, texture, and plank width will best suit your needs, aesthetic, and budget. We are certified to sell and install hardwood flooring manufactured by Mullican, Robbins, Garrison, and Bruce, and extremely knowledgeable in the pros and cons of each floor type and style. No matter the wood you choose, you can trust that we will use the industry's best installation techniques to give you superior results. Our hardwood floors are designed to look gorgeous and last a lifetime with proper care and maintenance. In general, we suggest that our Downey clients consider restoring their existing wood floors rather than replacing them whenever possible. 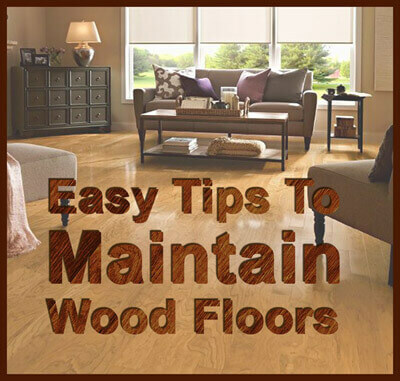 Because wood floors are innately capable of lasting for centuries, particularly those that feature older, more mature wood, it is worth exploring hardwood floor restoration. By having our wood floor specialists come out to your Downey property and evaluate your floor, you can get an honest answer as to whether or not your floor can be saved, what kind of results can be achieved, and how much restoration will cost. Many of our past customers tell us that they didn't even know that their floors could be given a second life through our refinishing services and are beyond thrilled with the final results. Their restored hardwood floors look superb and cost significantly less than a new floor. Call us anytime to make an appointment to discuss whether hardwood floor restoration is right of you. With over three decades of experience working with wood and an exceptional reputation for quality work, personalized service, and fair rates, Carter Wood Floors is Downey's best choice for hardwood staircases. Like our floors, our stairs are usually made with unfinished bullnose wood manufactured by either Garrison, Mullican, Bruce, or Robbins. This means that they can be installed on all types of stairs; custom cut to fit risers and treads of any size; stained nearly any color; and finished with your choice of low, medium, or high gloss coatings. We can even coordinate your railings, balusters, and moulding. Hardwood staircases are usually installed in three to five days and backed by extensive warranties. Once installed, we can provide you with ongoing maintenance services, such as recoating, refinishing, and repairs, at very affordable prices. Stair recoating and refinishing is usually a one-day process. Call us today for a complimentary consultation and estimate for hardwood stair installation and maintenance in Downey.